Although it might seem easy, the truth is that becoming a WordPress developer involves tons of hard work, determination, perseverance and resources to learn all the time. It’s not enough only to install WordPress, read or watch a few tutorials and customize some themes. It takes much more effort to get to the top. There are some great reasons for wishing to become one of the best: over average earnings, top clients and opportunity for further development and personal growth. Success in every domain starts with reading, finding the right information and getting to apply it in practice. There are no easy shortcuts here, and what you must certainly do every day, week after week and month after month is reading and learning. Internet is such a great place to start, it’s full of resources, that is blogs, tutorials, podcasts. Make up a schedule and find a suitable time in a day to dedicate entirely to studying: intense and concentrated, without any distractions coming from outside. Take notes so that you can revise the most important points from time to time. Bookmark any website that you find interesting on the way and don’t miss any opportunity of downloading books, lessons or videos. The first resource which is a must have and a must read in this case is the WordPress Codex. The Codex is defined as an online manual, a full repository for WordPress basic documentation. All the online data will permanently be moving in one direction or another, that is it will be changing continuously. However, no matter how hard it is, a top developer needs to remain updated. 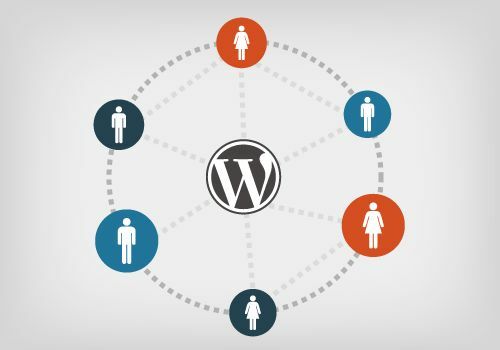 In order not to miss a thing, you should go to the official blog belonging to the core development group for WordPress. It’s always great if you can participate to WordCamps, which are events organized by people who are using WordPress in order to discover something new and get to know one another. If it’s not that simple to take part in these meetings, then you should watch WordPress TV which distributes WordCamps videos from lectures kept all over the world. Syed Balkhi’s website acts as a fully informative online repository for tutorials, more appropriate for beginners, with great tips, attractive and easy to remember data. Tutsplus is a website which includes a lot of courses, how-to tutorials, eBooks on programming, videography and typography, design, illustration. Tom McFarlin continues his work from Tutsplus, where he works as an editor, and writes on his personal blog. Most of his posts are intended to be read by professional WordPress developers. The following must do is going to Smashing Magazine, another amazing collection of in-depth articles about WordPress websites building. The data are organized into popular categories such as: techniques, templates, essentials, hacks, themes, plugins, PHP. ManageWP Blog, WP Beginner, and WP Loop are some of the websites that are systematically updating their content with how-tos, tips and tricks, reviews. Paul Underwood is a renowned blogger who has a satisfactory collection of resources on his personal website, his posts being mainly directed towards intermediate and advanced levels. And what we have presented to you so far is just a small part of the immense existing online information. Keep studying!